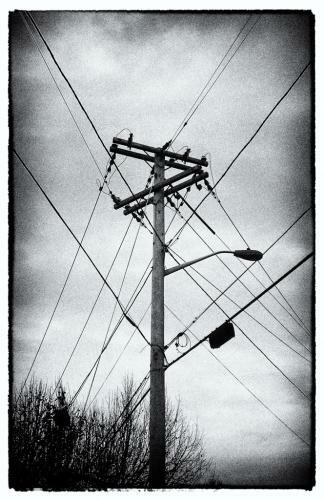 The lowly utility pole supports distribution of electricity, light, telephony and digital communications. Please acknowledge Copyright © 2011 Dan Dill (dan@bu.edu). All Rights Reserved. IPTC Core: Instructions No usage or third party sales granted without prior permission.